When people find out that I live in Las Vegas, I often receive peculiar looks. Most people wonder if I continually lose my money on gambling or they simply just can’t imagine living on The Strip, in general. Now, don’t get me wrong, I will admit that my city is fabulous at taking your money. Las Vegas counts on the 21,000 business conventions and many millions of visitors annually to boost revenue. The great news is that all you need is a few insider tips to be able to enjoy Las Vegas in an extraordinary (and less expensive) way! The truth is that Las Vegas has A LOT to offer that doesn’t involve The Strip nightlife and gambling. Whether you are local or a business traveler, there is plenty to do in this city that doesn’t break the bank. And even better, there are actually plenty of activities that you can enjoy completely free of charge! Yes, you read that correctly! 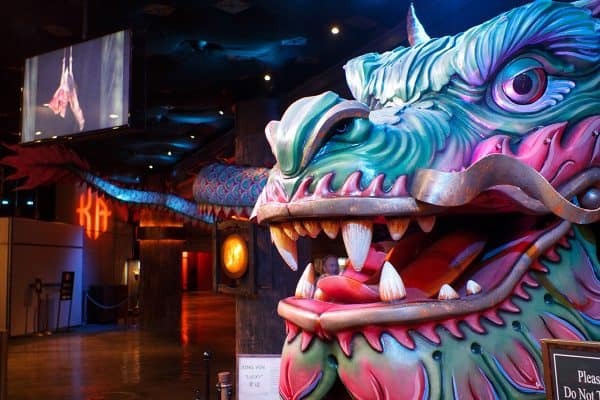 FREE activities in Vegas (and you’ll actually enjoy them)! In partnership with National Car Rental, I am bringing you my top free activities in Las Vegas. National Car Rental is running their awesome One Two Free promotion that gives you a free rental day for every two qualifying rentals through January 31, 2017. Check out the free activities below, and let me know in the comments if you have visited any of these spots! 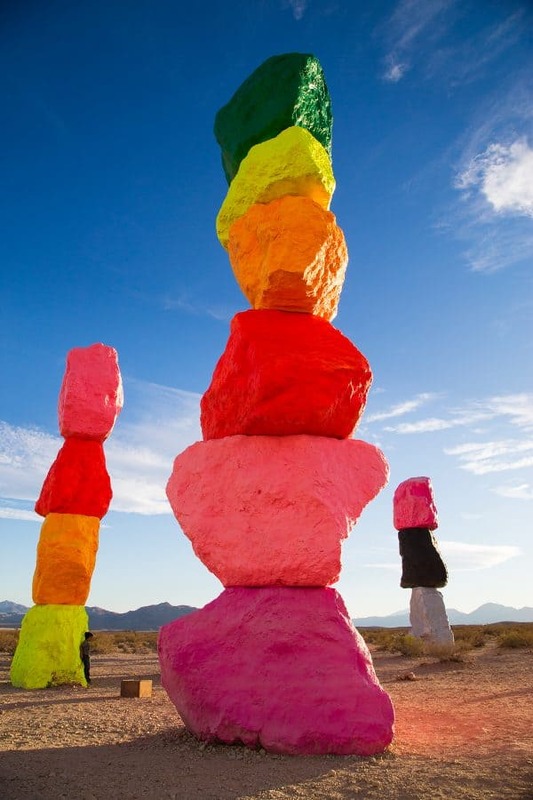 If you love art, then you must go see the Magic Mountains. 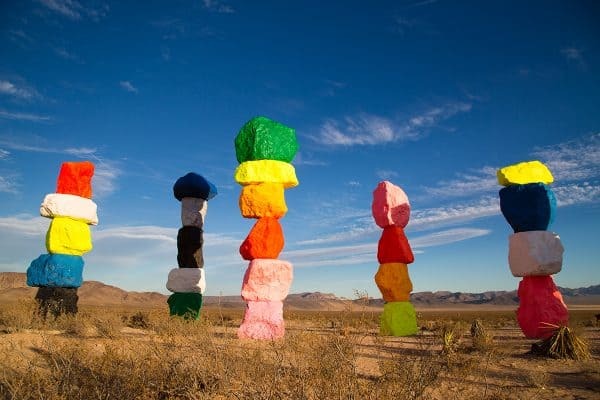 This is a free art installation just 10 miles south of the Las Vegas Strip. Comprised of seven totem-like towers made from limestone boulders, this large scale art is one of a kind. Each block is spray painted a vibrant neon shade, and they are just as vibrant in person as you see in the photos! There isn’t an actual address, but head south on 1-15 and follow the signs (exit 25) for the Magic Mountains…I promise you won’t miss them. I recommend visiting during the morning or just before sunset. The lighting is beautiful during either of these times and you can capture some great photos. 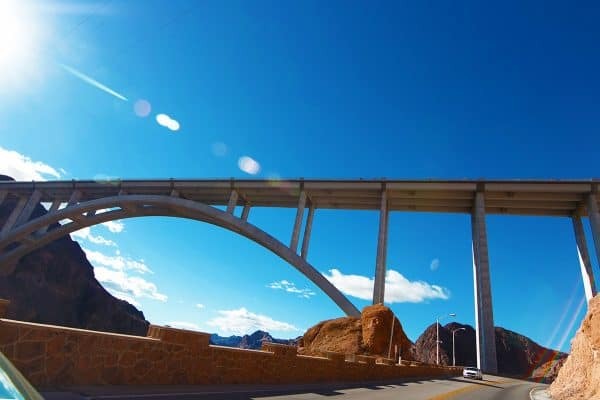 Built during the 1930’s, the Hoover Dam is still one of the top attractions near Las Vegas. I promise that a trip to Hoover Dam will be worth your time. It’s very spectacular in person, and it’s anything but boring. Just so you know, you don’t need to take the official tour to have a great experience at Hoover Dam. Just park in the easily-accessible parking deck, and you are free to walk around, take photos, and relax at the picnic tables. Morning trips are best as the lots can fill up very quickly. There are many bus tours that visit the Dam, but I recommend renting a car. Once you pass through Boulder City (which is a cute little retro town), your drive to the Dam is quite beautiful. 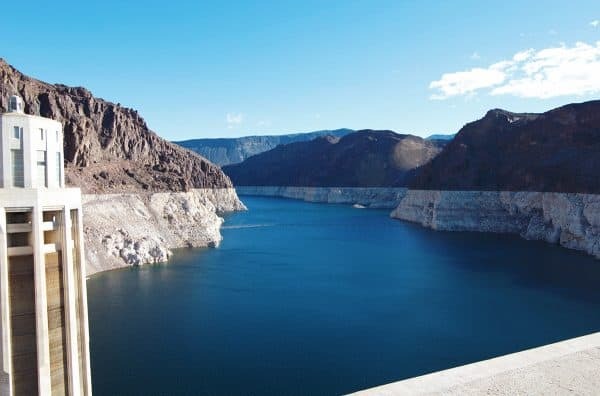 You will pass Lake Mead and continue through the winding red mountains. I promise you’ll love it. You can take a drive across the Memorial Bridge, which is the widest concrete arch in the Western Hemisphere. Some may even say that this structure is cooler to see than the Dam itself. 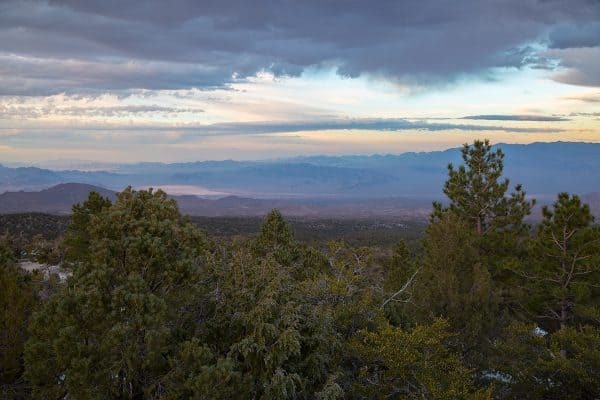 Roll the windows down, unwind, and enjoy this 30-minute drive away from the busy Vegas Strip. Mt. Charleston is a only 45-minute drive from The Strip but a world apart. This is definitely the perfect day trip – take a break from your meetings and enjoy fresh air and a change of scenery. There are beautiful Aspen trees, cooler weather, and altitudes reaching nearly 12,000 feet. There are also plenty of free hiking trails and places to picnic and overlook the mountains and valley. Take your hiking shoes along, or just go for a leisure drive. 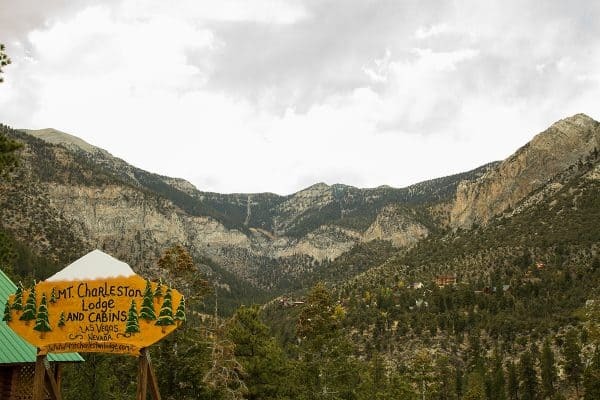 Whether you decide to get adventurous on the free hiking trails or you decide to relax, make sure to stop and have a cozy beverage at the restaurant and lodge overlooking the mountains. I am a huge fan of Cirque du Soleil shows, but they are far from being inexpensive. A Cirque show is definitely something to treat yourself to at some point, but if you are short on time, or you want to save your money for a fancy dinner, then pop over to the MGM Resort. On Tuesdays and Saturdays at the MGM Ka Theatre, you can check out the Ka Theatre Spectacular open house. On Tuesdays at 11:00 a.m. & 11:30 a.m., and on Saturdays at 12:00 p.m. & 12:30 p.m. the theater opens its doors for an open house of their $165 million production. 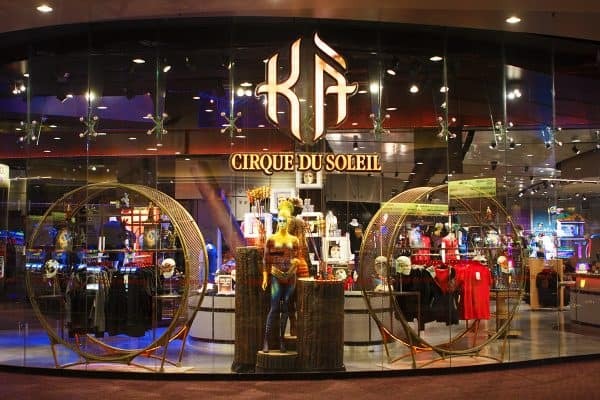 Guests can check out the mechanics and engineering (including details about the 360-degree rotating stage) that make Ka one of the top (and most expensive) Cirque shows in Las Vegas. You can learn more about the show, including details about its 360-degree rotating stage that tilts and stands up on end during the production (which is so awesome, by the way). No need to make a reservation beforehand, just plan to arrive a few minutes early to avoid long lines. But be sure to call the MGM concierge before you go. Once in a while they have a blackout date on a Tuesday and no tours are given. While the main entrance to Red Rock Canyon requires a fee to drive through, the Calico Basin does not. This area is so beautiful, and it’s one of the most serene places in Las Vegas. White sandstone cliffs and lots of wildlife. It is very likely that you’ll see all kinds of desert animals meandering in the basin. What I like best about Calico Basin is the option to not “rough it.” Forgot your hiking shoes? No problem; they are not required here. 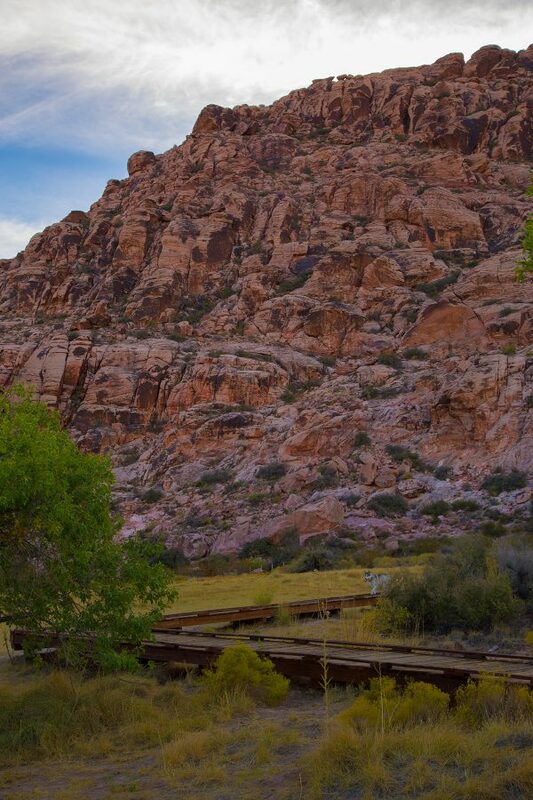 Calico Basin is home to a half mile wooden boardwalk where you can enjoy the outdoors on a wooden trail that is well-maintained for walkers young and old. 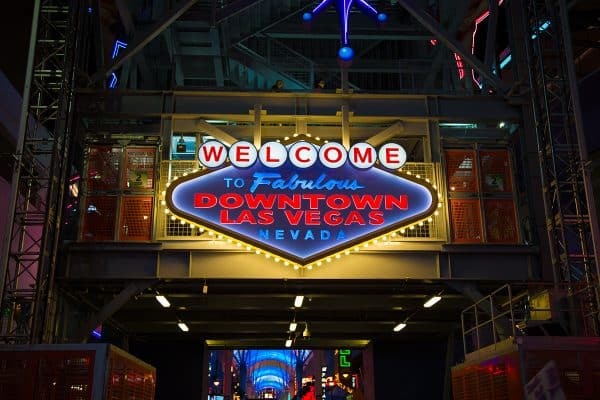 A freebie guide to Las Vegas wouldn’t be complete without a Fremont Street mention. 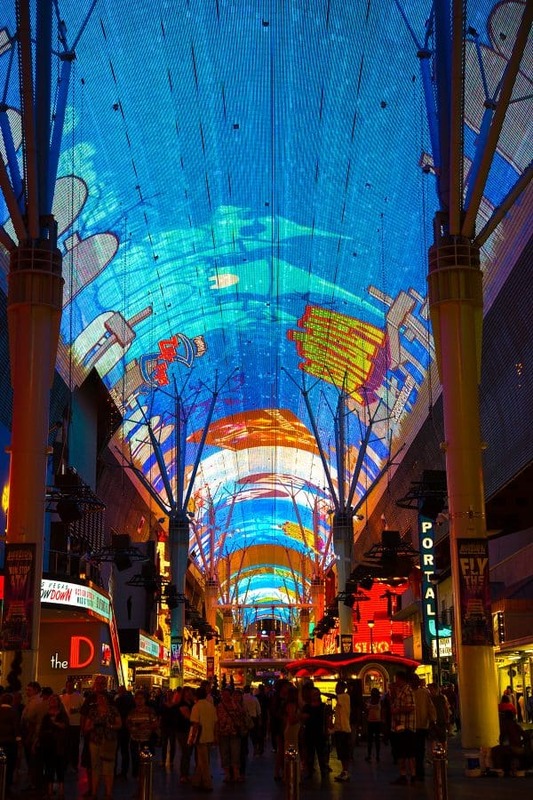 The Viva Vision Light Show on Fremont Street is one of the coolest, must-see free attractions in the city. The show lasts about 6 minutes and runs every hour. Guests can enjoy a variety of light shows with incredible high-resolution imagery from 12.5 million LED lights. Walk up and down the glittering street, enjoy free live music on multiple stages, and remember to keep an open mind as there are a plethora of interesting and eccentric street performers…entertainment that is also free of charge. (I omitted those particular photos from this post!) You may get more than you bargained for here on Fremont Street! Disclaimer: This is a sponsored post. A brand and I did a paid collaboration for me to produce it. If you’d like to learn more about creating an income from Blogging and being an Influencer, check out my Best Selling program Infinite Influence. 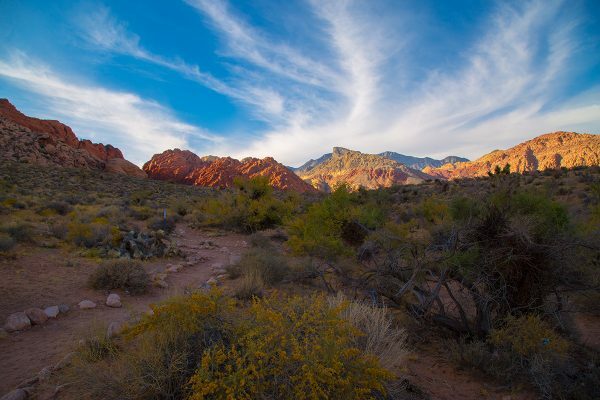 Great to know about Calico Basin! I never knew that boardwalk area existed. Fun!! Calico Basin is SO cool. Plus there are covered picnic table areas so you can pack a lunch and then walk the boardwalk. It’s actually really fun, and something different to do!